Most people would brush over clothes drying as a non-problem in the home. The opposite couldn’t be truer. Drying your clothes in the home is something we hardly even think about. It’s simple, you bundle your clothes from the washing machine and into the tumble dryer or, as if on autopilot, you hang them up in the clothes rack. Hardly ever in any of these processes does a normal person stop to think about whether this is the most efficient way to dry their clothes. When it comes down to it, clothes drying is very easy and comes as second nature to most homemakers. There are always a few tips and tricks that make the process a little easier, and could save you money on heating and even benefit your health! 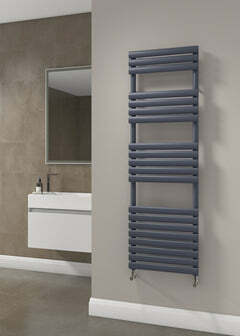 Radiators are often seen as the go to for clothes drying. If you can’t hang your clothes outside because of the inevitable British rain, and your fresh out of evening wear for that high brow dinner you had plans, then you might be tempted to turn on the heating and wrap those shirts and cocktail dresses over your favourite towel radiator. After all, isn’t that what towel warmers were made for? And surely clothes are the same as towels in the sense that they are used by us to cover our bodies and are also, at the point of drying, rather damp. 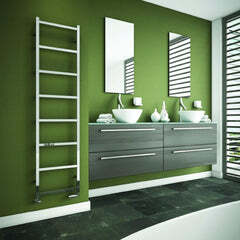 In reality, a towel warmer is built not to dry clothes which are completely soaked, but to keep towels warm, rather than dry them out completely. This drying process is a crucial difference, and you’ll see why in a moment. 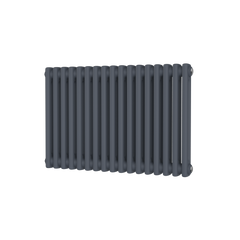 All of us want quicker clothes drying, we’re impatient by nature, and all roads seemingly lead to radiators as are de-dampening life hack. 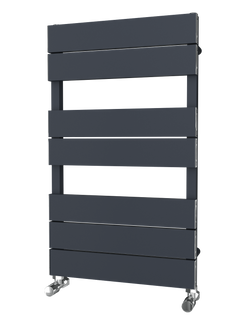 One of the main problems with drying your clothes on the radiator is that the sudden exposure of damp clothes to heat makes the radiator a hotbed for bacteria and fungi to grow. Whilst this isn’t anything the average body can’t handle through their immune system, there are certain bacteria and fungi that can have an affect on more vulnerable people, especially if drying clothes on a radiator which is in a badly ventilated room. One of them is a fungus called aspergillus, which causes a condition named aspergillosis, which affects the respiratory system. Through inhalation of the spores, the victims symptoms can range from a cough to coughing up blood. Of course, the level of severity is often low, but if you suffer from conditions such as asthma, cancer or have a weakened immune system for other reasons, then you should take all of the precautions possible to defend against aspergillosis. These precautions include keeping your bedrooms and living areas well ventilated, as well as ensuring that your radiators are not on too high when drying your clothes. Bacteria thrives in humid conditions, so keeping the home cool when drying your clothes is a good start in the defence against fungal spores. Should I turn the heating on to dry my clothes? Does the tumble dryer cost me more money? If you’re lucky enough to have a tumble dryer in your home, then you might be using it willy nilly for your home heating needs. Whilst we all have different financial situations, it’s important to keep in mind that on average, a tumble dryer will cost you around £85 a year to run. This is just an average, and that will mean more to some households than others, but constant running of the tumble dryer will rack up costs compared to natural drying. When possible, dry your clothes outside. This will ensure the maximum ventilation and quickest drying time. If you simply must use a radiator to dry your clothes, then make sure your home has a window open and good airflow.